In Defense of Joseph: Was Joseph a liar and a deceiver? 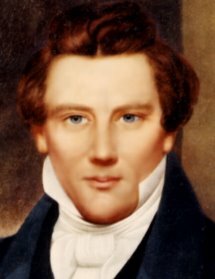 There is much information on the Internet indicating Joseph Smith, Jr. was a liar and a deceiver and thus an imposter and a false prophet. And he did these things for his own personal gain: money, power, and fame. However, this is just not true. To help support my position, below is a quote from the RLDS History of the Church which provides some sound reasoning on this issue. “This testimony [about the coming forth of the Book of Mormon] was related to hundreds of people before it was written in 1838, as many witnesses now living can testify, and was adhered to, and often reaffirmed without variation, to the time of his [Joseph’s] death, in June, 1844. Strange though the claims contained in this testimony are, yet it would be stranger still to think he [Joseph] could suffer as he did for the sake of establishing what he knew to be false. There was absolutely no inducement for him to do so. Neither wealth, fame, nor ease came to him as a result of his thus unflinchingly maintaining this unpopular cause. Thoughtful men who choose to believe his work a delusion, are compelled to admit his sincerity. “‘If he were an impostor, deliberately and coolly inventing, and pertinaciously propagating a falsehood, there is this much to be said, that never was an impostor more cruelly punished than he was, from the first moment of his appearance as a prophet to the last. Joseph Smith, in consequence of his pretensions to be a seer and prophet of God, lived a life of continual misery and persecution. He endured every kind of hardship, contumely, and suffering. He was derided, assaulted, and imprisoned. His life was one long scene of peril and distress, scarcely brightened by the brief beam of comparative repose which he enjoyed in his own city of Nauvoo. In the contempt showered upon his head his whole family shared. Father and mother, and brothers, wife, and friends, were alike involved in the ignominy of his pretensions, and the sufferings that resulted. He lived for fourteen years amid vindictive enemies, who never missed an opportunity to vilify, to harass, and to destroy him; and he died at last an untimely and miserable death, involving in his fate a brother to whom he was tenderly attached. If anything can tend to encourage the supposition that Joseph Smith was a sincere enthusiast, maddened with religious frenzies, as many have been before and will be after him—and that he had strong and invincible faith in his own high pretensions and divine mission, it is the probability that unless supported by such feelings, he would have renounced the unprofitable and ungrateful task, and sought refuge from persecution and misery in private life and honorable industry.’— Smucker['s History of the Mormons]. pp. 182–183. My observation of life is that people lie and deceive for personal gain because these acts are motivated by self-interest. As the above reasoning points out, if Joseph was a liar and deceiver, what personal gain did he receive from it? He received none. At the time of his death in 1844, there were approximately 150,000 to 200,000 church members worldwide who believed him (See RLDS History of the Church 3:1). If he was motivated by self-interest, wouldn’t he have used this large church membership to make himself rich and powerful and above the law? Many others have done so from their devoted followers. But he didn’t because I believe he wasn’t motivated by self-interest. He endured great hardships for what he believed and not for personal gain. And if he wasn’t motivated by self-interest, he couldn’t have been a liar and a deceiver. And if he wasn’t a liar and deceiver, then he was what he said he was: a prophet of God. Thanks for your commitment to defend Joseph. That's a strength to me. Sorry, I don't do Facebook. Takes too much of my time.